How Significant is Barca's Super Cup Victories? FC Barcelona has added two more silverware with the victories at domestic and European super cup. Some claim this as two more trophies to an already silverware packed last season, whereas some sees this as two more trophies to a bright looking this season; It all depends on how you view it. Last season FC Barcelona comfortably won the Champions League, La Liga and Copa Del Rey title. That made the possibility of competing for six trophies this season. Already we have grabbed two out of the six, but the significance of these two has to be questioned. I have earlier written in a post that a Super Cup victory will not be hailed as a great result but definitely a lose would have asked questioned about the squad and the club. No one in the press or footballing fraternity is going to go over-board with Barca's triump at Spanish Super Cup and UEFA Super Cup. Barca's season will never be termed as a success if they failed to add to these two trophies. Technically this season we have already won trophies but alone they have no value. If we manage to get hold of a couple of trophies then these triumphs will be hailed as great ones otherwise it will remain as a futile testimony of how well we began this season. And that is precisely it is. These two Super Cups triumphs were essential for Barca to start the season at the right note. The victory against Shaktar showed Europe and Spain that the squad has not lost the grit which took them trough last season. This will be a definitive adavantage for Barca especially after the mega purchases made by Real Madrid. The pressure will be heavily on Real Madrid who has to start their campaign in the right note. So in the final look, these two triumphs has no significance when stood alone but with some more triumphs this will greatly emphasise our season's success. FC Barcelona won the UEFA Super cup for the third time in history with a 1-0 victory over Shaktar at the Louis II stadium in Monaco. A late Pedro Rodriguez strike in the second half o the extra time was the difference between the two sides. FC Barcelona went with a line-up as I predicted to the build up of the match. Valdes, Alves, Puyol, Pique and Abidal formed the defense; Xavi, Toure and Keita were present in midfield; Henry, Ibra and Messi formed the attacking troika. From the beginning it was clear that Shaktar was taking an ultra defensive approach. Barca started the match very slowly and there was no pace in the build up. This suited Shaktar well and they held firm without creating much of chances. Throughout the first half and upto half way in the second half, the match was very boring. It was so boring that you can confidently take a nap without missing any action, as there were none. In that time there were only three shots on target from both sides. Once the Half way mark was over in the second half the match started to liven up. Messi was the first one to test Shaktar goal keeper after some fancy footwork and then Henry tested him with a shot from outside the box. Pedro was brought in the second half but never created any special moments. 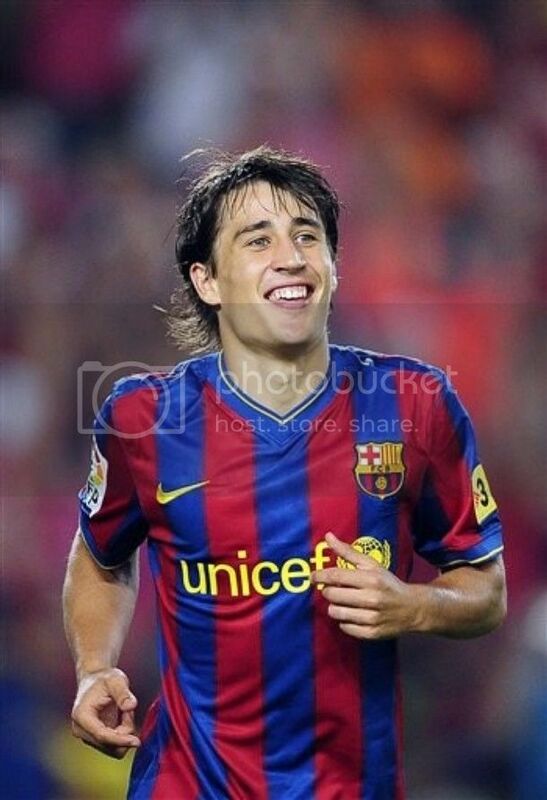 Once Bojan came in there were some nice moments when he paired with Messi. In the extra time, it was evident that the defense of both the sides were tired. Valdes had to intervene twice to cut out danger and there were some desperate defending from Puyol. But still Barca looked the only side capable of scoring on the night. Then in the 116th minute of the game Pedro scored the winner with a great finish after some great build up with Messi. Pedro squared the ball to Messi and moved in; Messi place the ball into the centre of box inviting Pedro through the defenders legs and Pedro obliged with a great finish. 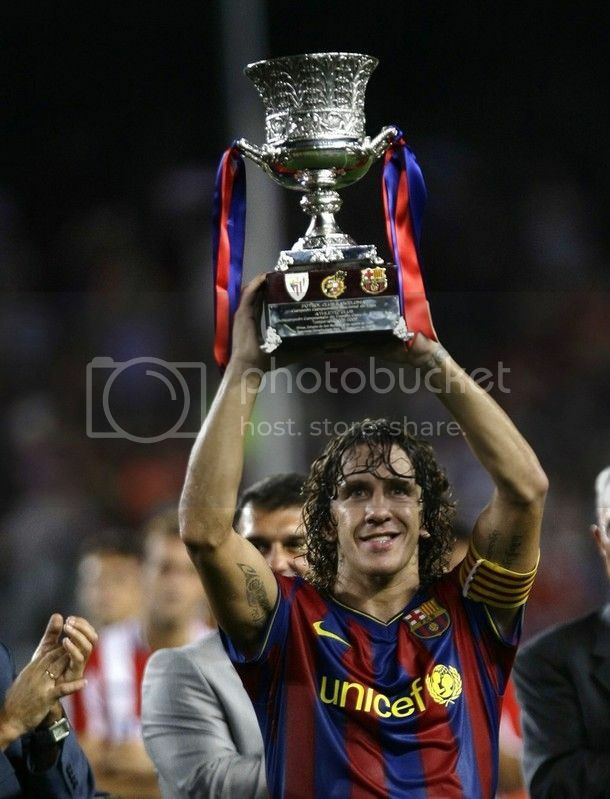 Many may argue the best Barca player was Messi; but for me the best Barca player on the pitch was our Captain Carlos Puyol. He had a great time in defense winning tackles after tackles and cutting of every Shaktar chances. UEFA Champions League winner FC Barcelona will face UEFA Cup Winner Shaktar Donetsk at the Louis II stadium in Monaco to decide the winner of this year's super cup. This will officialyy flag the start of this year's Champions League season. For FC Barcelona this will be a great oppurtunity to start the season in the right not. They have already won the Spanish Super Cup, and will be looking forward to bag their second official silverware of this season. Pep Guardiola has taken all his available player to Monaco. He has also included four youth players in the squad - Jeffren Suárez, Andreu Fontàs, Marc Muniesa and Jonathan Dos Santos. Andres Iniesta and Marquez has been included in the squad but niether has got green light from the medical staff. This would be an epic match for Chygrynskiy as he will be making his switch to Barca after this match. Shaktar Donetsk was a very difficult opponent last season. We struggled to win away from home and a weak Barca side went down at home. 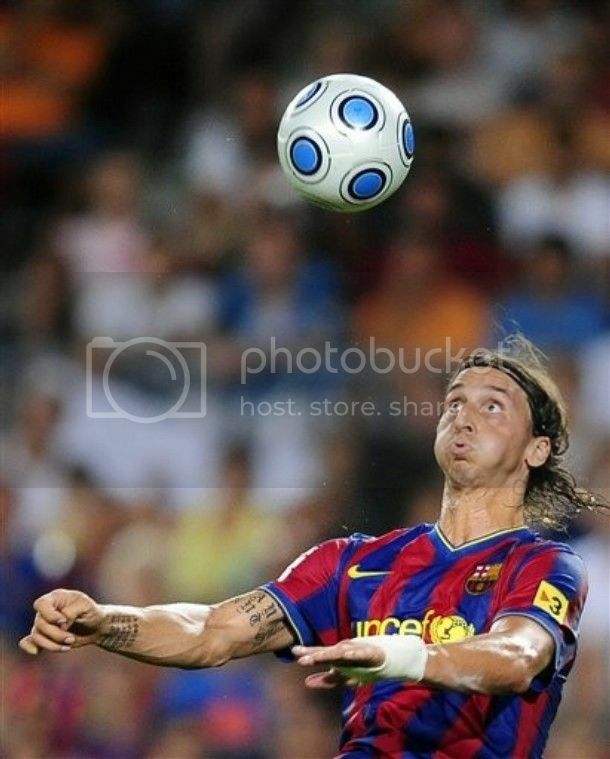 Barca's recent experience with UEFA super cup was a dreadful one - losing to Sevilla 3-0 in 2006. This time we can hope them to make ammends for the same. Shaktar will play a very physical style of game, a style which Barca is least comfortable with. But still we can count on our team to win this one. Valdes should start at goal. 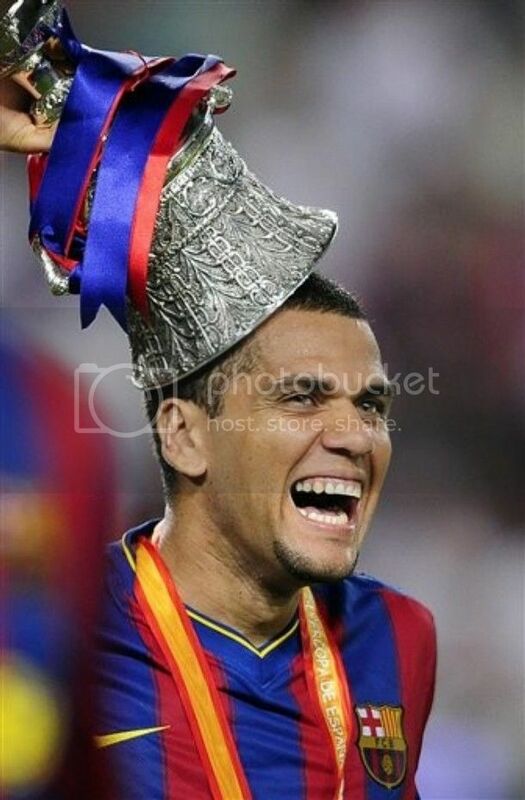 The defense ideally will be made up of Alves, Puyol, Pique and Abidal. The midfield should have Keita, Xavi and Toure. The forward line-up is a very easy prediction - Henry, Ibra and Messi. FC Barcelona has been drawn alongside Inter Milan, the champions of Italy in the Group F of this season's Champions league. The Ukranian club FC Dynamo Kyiv and the Russian club FC Rubin Kazan completes the group. Eventhough Inter would be a difficult opponent, Barca looks to have found a place in a relatively easy group for next stage qualification. FC Barcelona will open their title defense at Inter Milan on 16th September. This will be the first time Inter and Barca square off after the Ibra-eto swap. FC Barcelona's first home match is against Dynamo Kiev on 29th September. This season draw were expected to churn out some tough groups; but on the final analysis I didn't see any group which can be termed as "Group Of Death". Group E featuring Liverpool, Lyon and Fiorentina is a tough group; but still Lyon and Liverpool ar favourite to go through. Real Madrid has been paired with AC Milan in Group C.
UEFA also announced the UEFA Club Awards of last season. Lionel Messi was elected as the UEFA Club player of the year. He also got the UEFA Club Forward of the Year. Xavi received the UEFA Club midfielder of the year award. Terry and Van Der Saar were elected as best defender and Goalkeeper respectively. FC Barcelona as expected has been seeded at the top in the Champions league Draw pot. FC Barcelona is seeded top in the first pot which features Liverpool, Chelsea, Manchetser United, AC Milan, Arsenal, Sevilla and Bayern Munich. The second pot features Lyon, Inter, Real Madrid, CSKA Moscow, FC Porto, AZ Alkmaar, Juventus and Rangers. The pot 3 has the likes of Olympiakos, Marseille, Dinamo Kiev, VFB Stuttgart, Fiorentina, A. Madrid, Bordeux and Beskitas. And finally the final pot has Wolfsburg, Standard Liege, Maccabi Haifa, FC Zurich, Rubin Kazan, Unirea Urziceni, Apoel Nicosia and Debrecen. The presence of Fiorentina, A.Madrid and Stuttgart in Pot 3 and Wolfsburg in pot 4 seriously enhances the chance of having a really bad Group of Death. We have to keep our fingers crossed with that. But the presence of four English teams in Pot 1 enhances their chance of featuring in a so called Group of death - how about Chelsea, Inter, A.Madrid and Wolfsburg in the same group. Meanwhile FC Barcelona will be playing Shaktar at the UEFA Super Cup finale in Monaco tomorrow. All rumours indicate that Iniesta will be back for this tie. Another news doing the round is the almost signing of Dmytro Chygrynskiy from Shaktar to Barca. It looks certain now but he can only play for us in Spain. Will write more on this once the deal is complete, which should be very soon. Another set of rumours is about the new contract which is ready for Messi - the wumours states that Messi will be earning close to 10 million Euros per year and his buy-out clause will be increased to 300 million. It is yet to be seen whether the likes of Iniesta and Xai will get new contracts in line with the one provided with Messi. As expected FC Barcelona players have dominated the nominee list for UEFA Club awards, which will be declared on the 27th of August. At the same time thegroup stage draw of this season's YEFA Champions League also will take place. FC Barcelona has six out of twelve nominees listed. It is good to see Valdes getting the nomination; but the real fight will be in the midfield where both Iniesta and Xavi have been both nominated. I have been hammering my head for sometime to decide who will come top, but no idea. May be the goals at Chelsea may tilt it towards Iniesta this time. Manchester United has three nominees whereas Chelsea got two of its players on the list. Here are the list of nominees. FC Barcelona looks like they will be al set to add their first silverware of this season at Camp Nou next week after securing a 2-1 away victory at Sam Mames. With two away goals and a goal lead, it looks pretty unlikely that Barca will falter in winning the title. Athletic Bilbao went ahead towards the end of the first half but second half strikes from Xavi and Pedro secured Barca a deserving victory. 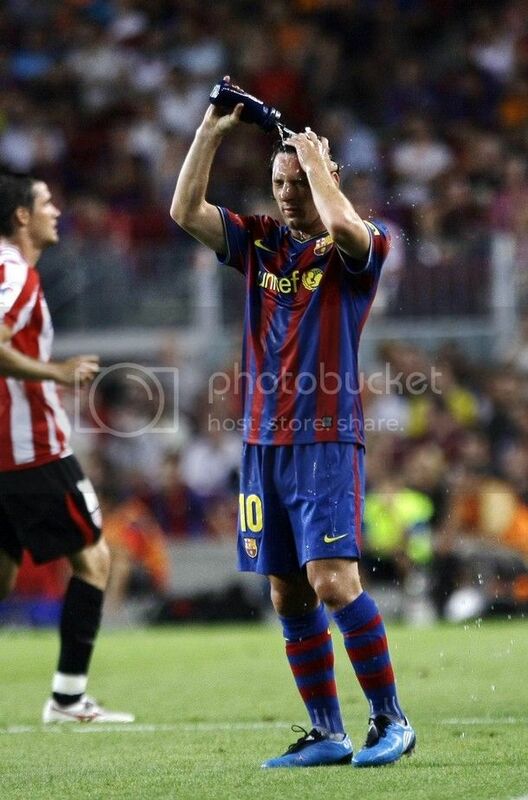 The best moment of the match was Xavi receiving a standing ovation from the home crowd when he was substituted. That moment should be seen as the best reward for his contribution to football, especially nationa team. Guardiola selected Valdes at the goal ahead of Pinto. Alves, Puyol, Pique and Abidal started at the defense. Xavi, Toure Keita formed the midfield trio and Bojan, Henry and Pedro formed the attacking trio. As expected Barca started the game well in the first half. 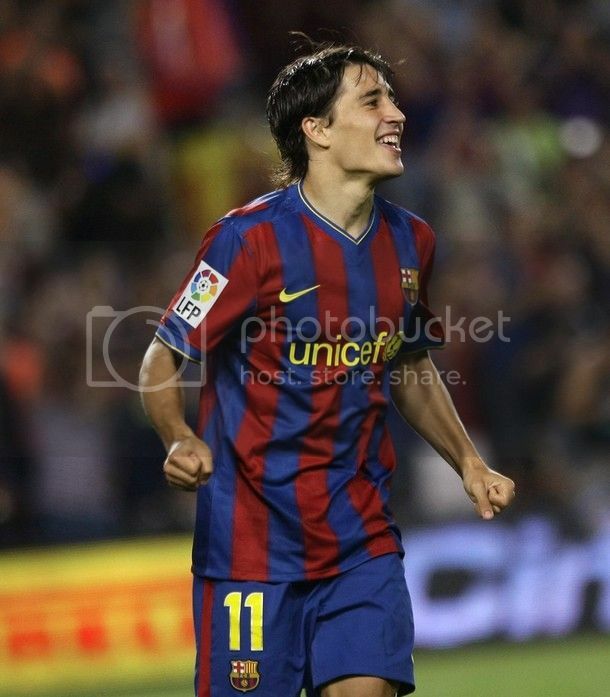 Bojan had two decent chance in the first four minutes. Alves was at his menancing best throughout the match with his trademark runs through the flanks. In the 11th minute Alves tested the goal keeper with a 30 yard screamer but the custodian managed to save the same. But Bilbao slowly settled in the game and started causing more worries to Barca. Just before the half time Toure lost the ball, the ball came to De Marcos he turned inside Pique before shooting past Valdes with the help of a big deflection to go 1-0 up. Early on the second half, Barca were struggling to settle down. But we found the equaliser in the 58th minute. Keita went forward on the left and sent in a cross to Pedro who squared the ball to Xavi inside the box, who made no mistake from 12 yards. In the 68th minute Pedro sealed the victory with a screamer from 25 yards out. This may not have been a trademark performance but still as a start this was a very efficient one. In contrast to the other major leagues in Europe, the Spanish Super Cup is a two legged affair. The first leg will be held tonight at San Mamés ; the second leg will held at the Camp Nou next sunday. Guardiola has announced the squad which is travelling to face Athletic Bilbao - Valdés, Pinto, Alves, Maxwell, Abidal, Puyol, Piqué, Fontàs, Muniesa, Touré, Keita, Xavi, Gudjohnsen, Busquets, Bojan, Pedro, Jeffren, Henry and Jonathan Dos Santos. Messi has been left out of squad as he is still nursing a strained left thigh. Meanwhile it is also decided that Messi will miss the League opener agains Gijon as he has been given permission to fly out to prepare for Argentina vs Brazil match. Along with Messi, Iniesta, Ibrahmovic and Marquez are also out of squad carrying different injuries. With so many huge stars missing Barca will be hoping to get a decent result which they can defend next week at home. Guardiola will most probably chose Pinto ahead of Valdes at the goal. Alves, Pique, Puyol and Abidal should form the defense. Xavi, Toure and Busquets should form the midfield. Pedro, Bojan and Henry should form the attacking pair. Absence of Iniesta and Messi may not be a huge factor when playing against Bilbao; but complacency could be a big factor. Even with this somewhat weak line-up, I expect Barca to come up with a narrow victory. My prediction is a 2-0 victory away from home. Do We Really Need Cesc Fabregas? Ok, Arsenal fans could up in arms against me for posting this. But relax guys there is no chance of this completeing this season. But it is always good to have a debate on a subject which matters most to Catalans. Guardiola and Laporta both have made clear their hopes of signing the Catalan. Cesc Fabregas, naturally is a catalan and is a product of Barca's youth academy and therefore naturally will fit into Barca's scheme of things. But at reported asking of 45 million Euros, Barca management will stay away from him for atleast this year. Not because he lacks quality, but for that amount he will be an extra-vaganza. If FC Barcelona manages to sign Cesc back, it is not yet clear whether he will get a regular start. Many of the fans would disagree, I also agrees that he is of highest quality. Naturally if he has to start then we have to shift Iniesta to front left, competing with Henry. But is that a solution. I have earlier written a post of why the Xavi - Iniesta Duo is the best in the world - Andres Iniesta vs Xavi Hernandez; The Dangerous Duo. Now ideally we will not like to unsettle that combination. Fabregas and Xavi are similiar kind of players and moving Iniesta out of that midfield will take a lot of variety from that midfield. Just see how Spain struggled with the absence of Iniesta recently. Fabregas and Xavi relies heavily on giving those wonderful defense splitting passes but Iniesta is one of the most naturally gifted dribblers and provide the pace to the midfield and to an extend the surprise. That is why Iniesta and Xavi together is a great combination than Xavi and Fabregas. But also I believe that a Fabregas and Iniesta combination in the midfield will be as dangerous as Xavi - Iniesta duo. Now that is what bothers me - Fabregas is the ideal replacement for Xavi. Xavi at 29 will have some more playing years left in him; Fabregas who is 22 will be an ideal choice for the future. But if we somehow sign him now I don't think we will be able to give him enough playing time that does justice to his talent. But then the real dileama is that he is the best replacement for Iniesta and Xavi available at this moment in the world. And with him available we will be able to rotate the midfield more and keep the little masters out of injury from long time. But then the real problem will be he may not get a starting place in the biggest matches, let's say a crucial El Classico encounter or a Champions League final. That is the reason why I believe we may not go for him at the quoted amount but at a lower rate around 30 million it is good to bring him back. Again there is a chance that by the time Xavi fades off we might have a suitable replacement coming from the youth setup. But for now I believe he will be best served at Arsenal but I don't see him staying there in the future. Wow! what a season we had? Three trophies (I think "all the trophies", sounds better) after two season where we longed for a piece of silverware. To top it all we played a brand of football which made us everyone's second loved team. With the emergence of English Premier Leageu as the strongest, everyone said beauty and success don't go hand in hand. But we proved everyone wrong with a style which was so fun to watch. Now back to ground reality!! We have won everything this season and we will have six trophies to fight for this season - Spanish Super Cup, UEFA Super Cup, La Liga, Copa Del Rey, UEFA Champions League and the World Club Championship. Already war cries has been made by Barcalona faithfuls about a possibility of winning an unprecedented six trophies. Such was the success of last season that no one will question Barcelona's credentials for the same. But it will be too much for the squad to take, a call to win an unprecedented six tophies. The best option at the moment looks like the Spanish Super Cup and UEFA Super Cup. Out of that the Spanish cup for me is a bit easier than the UEFA Super Cup. First of all it is a two leg affair and secondly we play the second leg at home. UEFA Super Cup could be a much tougher affair as we will be facing a physically superior Shaktar side. Shaktar last season defeated us at the Camp Nou and away from home our victory wasn't convincing at all. The Super Cups may not hold much significance about the success of next season. It is more related to the good season we had last year. But eventhen we all would like to boast about them in the final tally. This year's La Liga looks more tough than last season. With Barcelona's unprecedented sucess, Real Madrid was forced to buy their way back to prominenence. This Real Madrid side looks dangerous but Barca hold the upper hand as we are working with a successful setup. 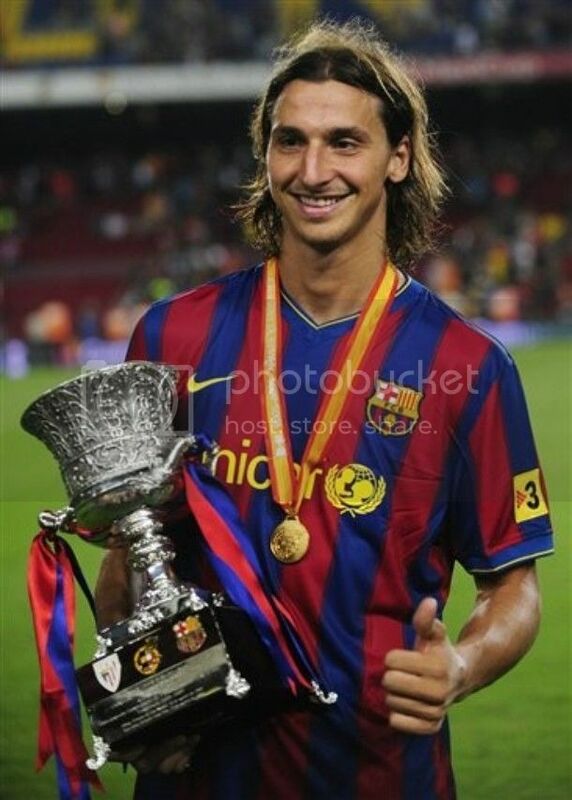 Barca's major change in personal; has been the swap of Eto and Ibra, but we all expect Ibra to fit into the setup sooner. But it is yet to see how Real madrid will balance their side. In Europe once again the challenge from the English sides will be the toughest for Barca. Italy don't look like to pose a big challeneg, but Madrid and English clubs will be tougher this season. To make Barca's life more worse, we can except every team to adopt the "Park The Bus" strategy against us. So in the end this could turn out to be a much more productive season for the team. But all will depend on how well Gaurdiola can manage the team and drive them away from being complacent.